What does Mr. Bodden have to say about medical marijuana?….silence…. There is much scientific and anecdotal evidence to support the use of medical marijuana. Also, marijuana is far less dangerous than the copious amounts of alcohol consumed by many! 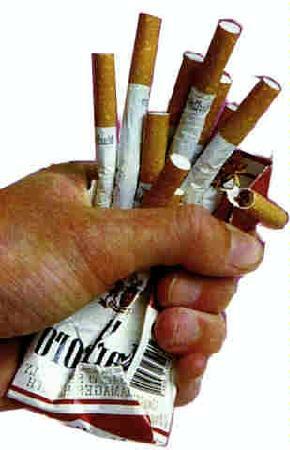 Minister Bodden might put his money where his mouth is by stopping the sale of cigarettes at his gas station then! No? ozzie….whats your opinion on the health of employees that work in government legalised cigar bars????? 9:12, Ozzie is too busy dealing with severe anger management issues right now to anwer you. All Doctors at HSA has special protection as per section 13 – So they do what they want? OMG! Both private and HSA doctors are held to the same qualifications, but the HSA doctors – you can't sue? Why is that? What is so special about them? I had a doctor at the HSA misdiagnose me in 2008. He admit he was workign ina field of medicine of which he was not qualified….So I went to the specialist clinic a week ago and ask for the same services—GUEss what, they referred me to the same HSA DOCTOR????? I called the medical director and asked his secretary to call me–to date he hasn't called???? Caymanians, you better off using herbal remidies or ……………………..
Mr Bodden why are you talking about a ban on smoking cigarettes ! Have you not seen what happened in New York City a few weeks ago , because of TAX , he lost his life . This would cause many problems in Cayman . The lost revenues to Government , and creates a black market , then what happens to the visitors that come to Cayman and can't have a cigarette for a day or a week , I really think that you have bigger issues to work on in the health of everyone , like the Garbage Dump . Chronic MOLD exposure is a million times worse than cigarette Smoking!!!!! YET the Government kept OUR Caymanian people int he OLD Glass House- Knowing well it was Chronically contaminated by MOLD???? Kinda defeats trying to keep its people healthy -HUH? Not only the glass house my seat, there is mold right in our schools .